Posted on March 14, 2016 by Rebecca C.
Today, March 14, 2016, is dedicated to Moths. People usually like the beauty of butterflies over moths. I find both species to be naturally beautiful. I have come across some beautiful species here in Michigan. I would like to learn more on the subject of attracting moths. I have been trying to research plants to see if certain varieties will attract moths. So, I will have to see what I can come up with as I search. Personally, I would like to learn more on the subject of attracting moths. I have been trying to research plants to see if certain varieties will draw months to my yard. I will have to see what I can come up with as I search. Who knows maybe the new plant life will add a touch of color to parts of my yard. I do have to say, I am glad there is an entire day dedicated to the moth’s beauty. Everyone can have a chance to admire the flying little insects. Moth’s come in all different sizes. 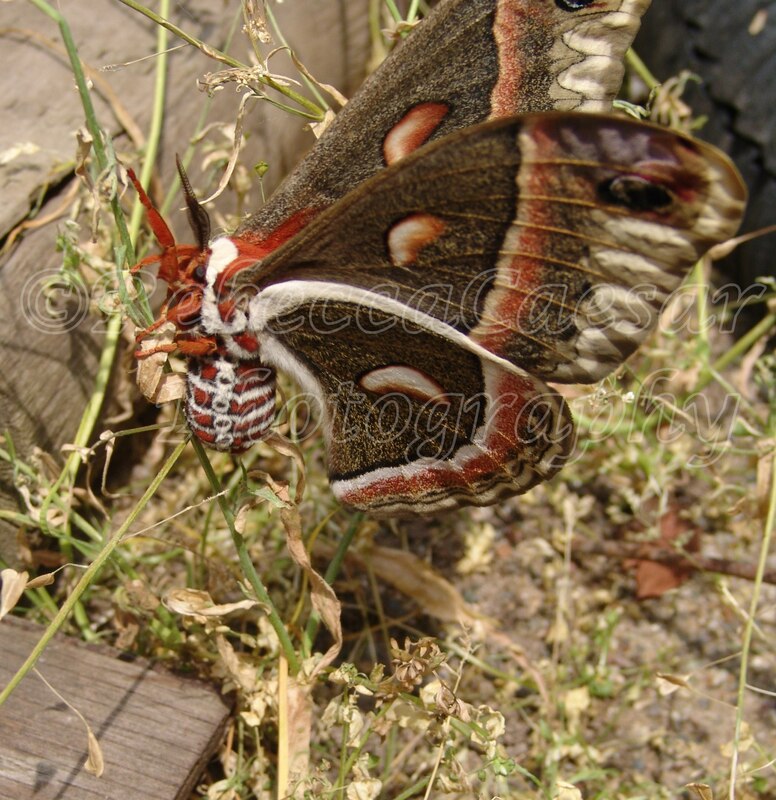 The Cecropia Moth is the largest moth I have ever photographed. The Cecropia Moth was about as big as my hand. I mostly took side views of the multi-colored moth. I never pick up insects to take better photos. I definitely did not want to harm her. (No, I really do not have any idea if the beautiful insect was male or female. ).